A wedding planning checklist is essential for brides-to-be who are planning an upcoming wedding. It’s a smart and simple way to keep you organized without making you feel overwhelmed. Below are three must-have items to include as a part of any comprehensive wedding planning checklist. 1. 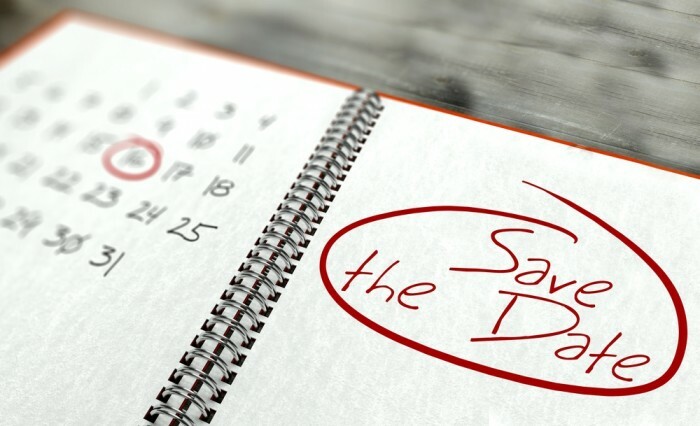 Due dates – this includes the dates of when balances are due for big ticket items, such as the reception venue, florist, photographer, and caterer. Many vendors require payment in full on a certain due date or services will not be performed. You don’t want to accidentally forget to pay the caterer and have nothing for your guests to eat! A chronological list of due dates can help you stay organized and ensure that payments aren’t forgotten. 2. Bridal party members – it’s important to have up to date contact information for all of your bridal party members, since they are responsible for their wedding day attire. This can help ensure that tuxedos and bridesmaids’ dresses are ordered on time and will arrive in plenty of time for the wedding. It’s also great to have in case you need assistance with wedding planning tasks – you’ll be able to reach out to them if a need arises. Their contact information can also be helpful when it comes to writing thank you notes and purchasing gifts for your attendants. 3. Budget breakdown – every bride strives to stay within a certain budget when it comes to wedding planning. When a bride sets a final dollar amount of what can be spent on the wedding, a breakdown of the budget can ensure that each important planning area has enough funds designated toward that service. This can also help you narrow down which services are more important to you. For example, if a photographer you love has fees that are above what you had budgeted for that service, a budget can help you trim costs in other areas that aren’t as important or meaningful. By including these three items, brides can rest assured that their wedding planning checklist covers all of the important details regarding their wedding day.